So the aim of this blog was and is that if gives folk an opportunity to write something about people, gardens, community and gardening in whatever form that might take and here is the first of those guest blogs. 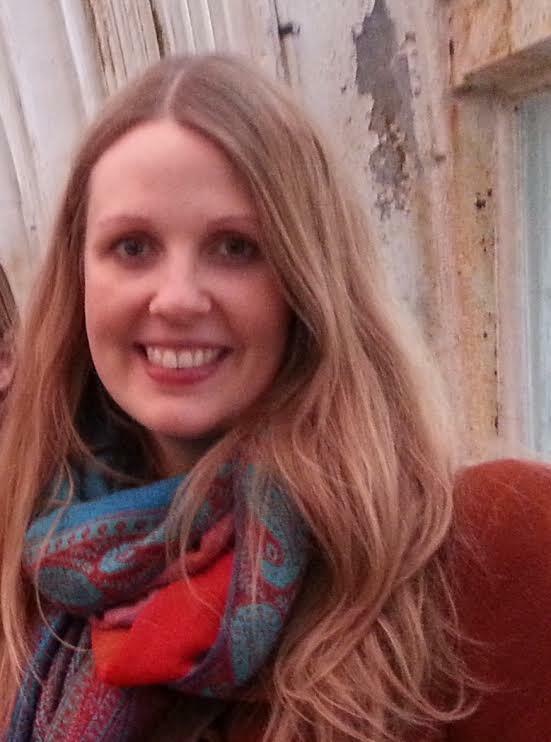 Kathryn Hay is a disrupter, a fierce friend and a member of Incredible Edible Swindon and Swindon's Secret Garden. A community gardener, an activist and a person to whom kindness and people care are as important as the gardens she works in and the earth care she provides. I was super envious when she flew off to the States and I am thrilled to be able to publish this snapshot into an exciting and inspiring journey that focuses on how we are all the same, despite where we live. My particular take from this is that it's amazing to see people growing for food banks and I wonder how we could support a UK allotment glut towards people in crisis? As with almost every holiday these days, I was looking forward to visiting some community gardens. And, as with almost every holiday, my research began a day or two before setting off. Thankfully Maggie made it easier by sending through a list of gardens to consider. Perusing the list, I was keen to visit one of Alleycat Acres’ urban farms and eager to learn more about the concept of Seattle’s P-Patches. A plan was coming together, but we needed some more details so Maggie rang the Garden Hotline. Seriously, Seattle has a Garden Hotline! I was starting to love this city already, and not just because I was eating fresh doughnuts at the Farmers’ Market within three hours of landing. 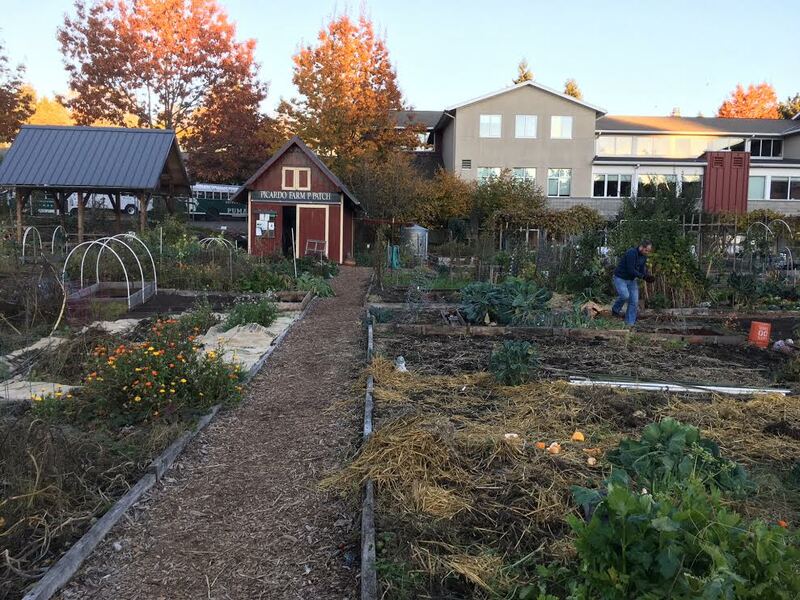 The Garden Hotline is one of the many brilliant ways that the organisation Tilth Alliance supports the gardeners and farmers of Seattle and surrounding areas. The service is available six days a week and they will literally take any question related to gardening and horticulture. It’s a bit like having a live Gardeners’ Question Time panel at the end of the phone whenever you need it! Imagine that, Bob Flowerdew at your beck and call! Education forms a large part of what they do at Tilth Alliance, training people of all ages in sustainable growing techniques as well as cooking and nutrition. Their aim is to build a fair and sustainable food system and their approach is holistic, connecting people with the land, their community and also markets. Keen to know more about the work of the Tilth Alliance, we visited their Good Shepherd Center site. First established in 1978, it’s from here that they run many of their classes and where they have created a Community Learning Garden. We took some time to explore the garden which demonstrated permaculture techniques and was full of organic fruit and vegetables and various ornamentals, some of which were drought- and disease-resistant. I was fascinated by their rain garden in particular which is essentially designed to prevent water pollution and flooding; quite a sensible idea in such a rainy city. Emerging from the learning garden we found ourselves amongst some P-Patches. Now these I loved! P-Patches are essentially small allotments which are tended by individuals or groups and the whole site is open to the public. The name ‘P-Patch’ comes from Picardo’s Farm, which was the very first site to be given over to these mini-allotments in 1973. Each P-Patch site will generally have some communal areas which everyone helps to maintain and many P-Patch gardeners grow both for themselves and for the foodbank or local feeding programmes. We visited three P-Patch sites altogether, including Picardo’s Farm and Interbay, and the sense of community was strong. Interbay had a beautiful communal building where shared meals and other activities were held and on all sites I got the sense that working smaller plots would, in many ways, bring people closer together. Another organisation connecting people through growing is Alleycat Acres. We visited their urban farm located at (streets) 24th & Main during their weekly gardening session and received a warm welcome from coordinator, Selina. The ethos of Alleycat Acres is really similar to that of Incredible Edible, where unused public spaces are used to grow food by, and for the community. Here, they were growing on the parking strips, which is the land between the footpath and the kerb, something you’ll see residents doing throughout Seattle in fact. Most of the materials and plants were donated and they had grand plans to extend the garden around the block so that the housing estate was almost surrounded by free food for all. Selina reflected the same kinds of challenges that we experience in our community gardening projects in the UK, such as limited resources and fluctuating volunteer numbers, which in some ways was quite reassuring. By the time it came to leave Seattle I had fallen a little bit in love with it. The long tradition of community gardens in Seattle gave me hope for seeing the practice even further entrenched in the culture of our cities and towns here in the UK and I believe this has to happen as one aspect of building a sustainable and equitable food system. Seattle seemed streets ahead in other aspects, too, however. The education programmes offered though Tilth Alliance were nothing short of impressive and thanks to the hard work of amazing people like Chris Curtis, whom I was also lucky enough to meet, there are now 10 Farmers’ Markets held over 5 days every week serving the city’s population of 700, 000 people. Even the fresh produce I saw in big supermarkets all seemed to come from within Washington state. 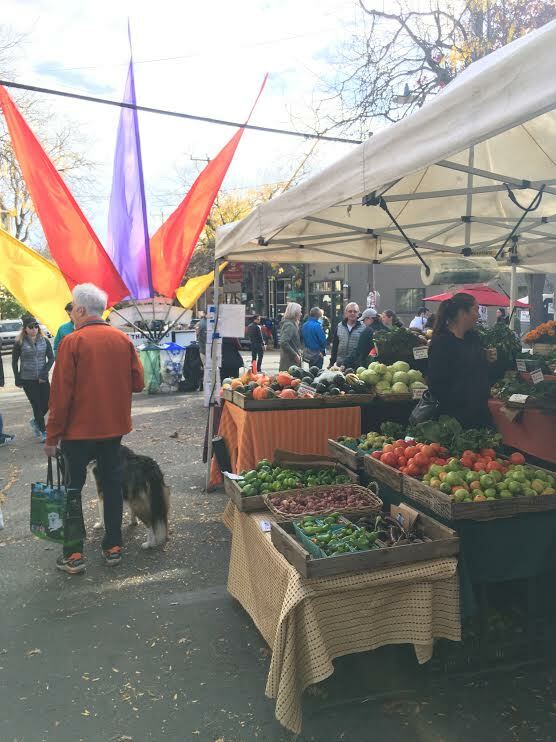 But while I visited Seattle because of my community garden connections in Swindon, it was amazing to be able to build that network a little further and make some Seattle-based connections. It was inspiring and uplifting to meet people doing the same work and with the same beliefs in building community, empowering others and kindness. Who knows, maybe Swindon and Seattle aren’t so different after all….?! You will find Kathryn on both Twitter @kathrynhay and on Instagram again @kathrynhay, where she posts wonderful photos of gardens and travels!! Newer PostPositive volunteering at Compton Verney!! Older PostThe Festival of Urban Landscapes! !